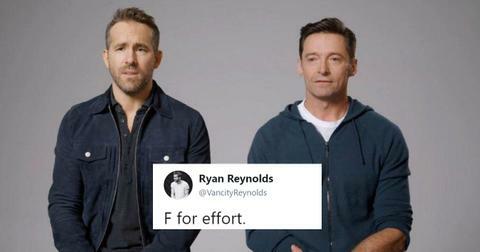 The bromance between Ryan Reynolds and Hugh Jackman is well-documented. 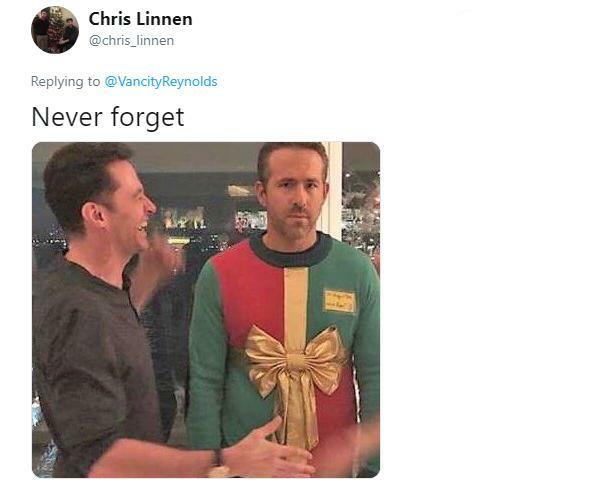 The two stars have been happily ribbing one another for quite some time now and it always makes the internet squeal with delight whenever they do. In fact, they roasted each other so much lately, they called a bit of a "roast truce." 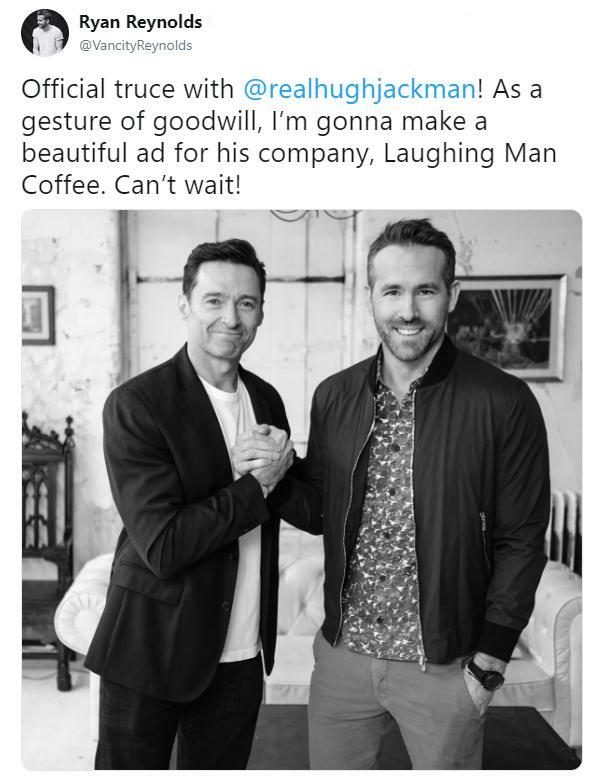 While that might not be a lot of fun for everyone else, it was ultimately done for a good reason: Reynolds vowed to help develop an ad for Jackman's company: Laughing Man Coffee. Jackman's known as a stand-up guy despite playing such a scary and violent dude as Wolverine, and his coffee company's reputation is as honorable as its founder's: the company's mission is to prove you can be profitable while treating coffee growers ethically. "I've tried every gin on the planet and Aviation is, hands down, the best. Also, I don't recommend trying every gin on the planet. Stick with this one." I'm sold, you hear me? SOLD. The truce was mutual: an ad for an ad. Nothing like a little cross-promotion to help line each other's pockets, right? Well, like most people suspected, the "truce" was just a clever ruse, and the two of them dropped this hilarious "co-ad" where they debuted the commercials they were working on for their respective companies. It's a pretty brilliantly executed sketch, where Reynolds shows off the hard work he's done for his Laughing Man Coffee commercial. Complete with "Hugh" puns, ("Hugh guessed it", classic) Ryan's commercial, while intentionally cheesy in some parts, comes off looking pretty great. 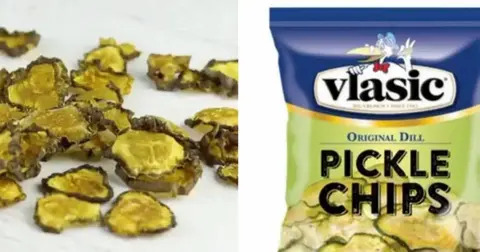 Jackman's, is, well, just watch. In Jackman's commercial, he just curses Ryan out and then pours his gin onto the table as he awkwardly stares at it spilling onto the ground. 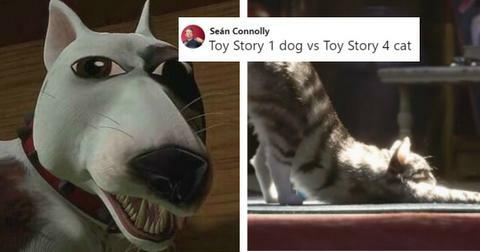 Their reactions are incredible, and Twitter was in love with the funny bit the two actors put up. It also had people clamoring for the two men to finally be in another movie together, preferably one produced by Marvel where they each play their respective iconic characters that we all love so much. Wolverine and Deadpool, anybody? I honestly would like them in a buddy cop movie, too. I'll take that. 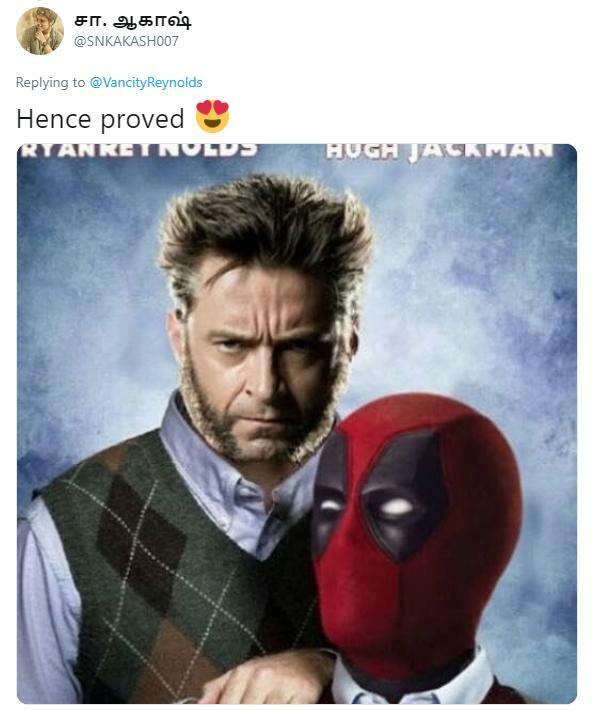 In case you forgot about the massive disappointment that was Wolverine: Origins, the two actors already did play the roles of Wade Wilson and Logan (AKA James Howlett) in that movie. 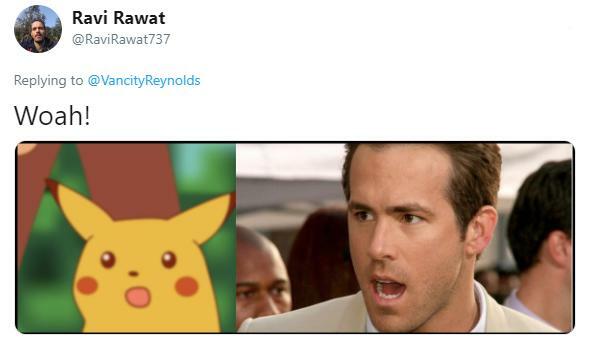 And while that movie might've been pretty awful, the truce-breaking ad Reynolds posted on his Twitter was not. So would you be interested in seeing the two of these dudes share the silver screen together again? Or is their social media beef enough for you? Honestly, I just can't wait for the follow-up ads and see where the two of them take it from here.